Here's a couple of finishes I finally get to add to my Lifetime List. Some time back, Judi Madsen asked if I would be interested in piecing a couple of quilt tops for a book she was writing. I'm always happy to do some piecing for a designer. Selecting patterns, then selecting the perfect combination and placement of fabrics for a pattern, are tasks that do not come easily for me. At my core, I'm a piecer. And I love nothing better than putting the pattern and fabric decisions in someone else hands and just focusing on assembling the pieces. It's like a quilting vacation. This first pattern was a very fun pattern to piece, and deceptively easy. It finished at 64" x 75"
It has approximately 357 pieces. And this is how Judi brought that flat top to life. Just Judi being Judi, lol. Beautiful straight lines, small shapes, and her signature secondary designs. I also pieced this top for Judi. I love those big and little diagonal stars. It finished at 90" x 90"
It has approximately 909 pieces. And here is what this top looks like now. I've never quilted a top, probably never will, so I'm no expert, I leave these things to the experts, and by expert I mean anyone quilting one of my tops, but the two things that I find very fascinating about Judi's work is that one, she comes up with these great designs, and then two, executes them with such amazing precision. 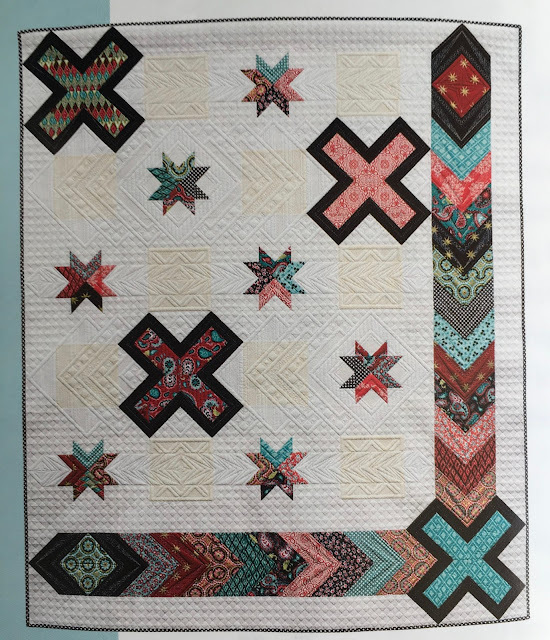 Patterns for piecing these two quilts, plus directions on quilting these tops, along with 4 other projects, are in Judi's latest book, Secondary Designs. This book is available here. I think you will enjoy all the patterns available in this book and studying all the quilting designs. There are numerous examples and illustrations where Judi explains her process, many more than in most quilting books. Luckily for one person, Judi is sponsoring a giveaway for her latest book. Just leave a comment by the end of the day Friday, February 10th, on this blog post. I'll announce the winner next week. Congratulations Judi on a wonderful book, I'm humbled and honored to have been a small part of your creative process. I love the tops you've pieced and how judi brought them to life with her quilting. Due to the lack of longarm quilters here in Germany I quilt all my tops by myself (that's why I have a lot of quilt tops and not so many quilts;-) but I never could do what Judi does. Her quilting is a own form of art. 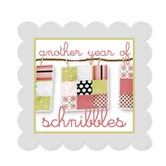 Have been a fan of Judi's work for a long time and am so happy for her success in the quilting world. Would be thrilled to win a cop of her newest book. Judi's quilting is just wonderful! I have admired her work for year and was very happy for her when she got her first book published. It amazes me how she can take an ordinary quilt and turn it into a masterpiece! I brought Judi's other book and have loved trying to copy some of things Judi's does, but not with great success. Guess I just need to keep practicing! The quilting certainly made these beautifully pieced quilts come alive. So interesting to look at all the different design elements. You two make a fabulous pair, Thelma! Great job! Its truly amazing how Judi can see the secondary design that she quilts onto the quilts. I don't have enough imagination to be able to see what she can. Have a great week! Your work is just lovely, but that quilting Judi did truly transforms those pieces. I'm sure I'll never achieve anything like that myself, but a chance to win a book that might spark a few new ideas is wonderful. Love the tops and quilting. Wow, the piecing and quilting on these quilts is intense, but beautiful! And my quilting would definitely be more elementary. Looks like a great book. Congrats on being published. 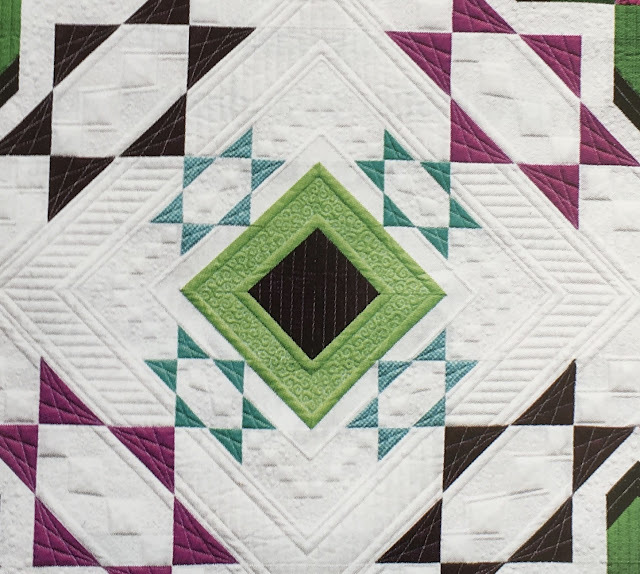 The combination of your piecing and Judi's quilting make up two stunning quilts! You make a fabulous duo! Both of you are so inspiring! Beautiful quilts...she is an inspiring quilter! I love her work. Toke the opportunity 4 years ago to attend a two day workshop with her. So inspiring. I am a long arm quilter and free motion quilting instructor and love what I have learned from her. Judi's work is so beautiful! I love the quilts you pueced. They are beautifu. Then Judi, sprinkling her fairy dust, just makes them out of this world. Absolutely gorgeous. What fabulous quilting. I bet it was fun making them for you, and to see how she transformed them with that amazing talent just added to the delight and eye candy. Beautiful work by both of you! Judi's quilting is rather amazing as usual. Her designs are so intricate! You two do make a great team! I've often admired your quilts, and Judi's quilting and it is wonderful to see the two combined for such a beautiful outcome. I am no expert quilter either, but I have long been in awe of Judi's amazing work! Loved the before and after photos of the quilts. Like you, Thelma, I truly admire the change in a top after the work of a longarm quilter transforms them. Thank you for the chance in the giveaway. It would be good to illustrate to my quilters what I might like in a design. You and Judy are both masters at what you do. Amazing! Thank you for the before and after photos of the quilts, I just cannot imagine what goes on in someones head to get to such spectacular quilting results. But of course you know that it has to be pieced to perfection also. Your work is lovely and I am also motivated to split some fabric up and use it. I love your description of yourself as a piecer. I feel the same way. I love the actual sewing parts but not the designing parts. I have been following Judi's work for years. She is an artist apart from the rest. I am so inspired by Judi's quilting. I long to be better at both piecing and quilting. Practice makes perfect, right? Thelma, I so admire your piecing skills and love that you have kept track of 169 quilts! I met Judi a few years back at a quilt show and she is so nice and so helpful. Would love to win her book!! I have admire Judi's quilting for years. You are both very skilled in your individual areas of quilting but what intrigues me is the ability to design the overall quiting taking it from flat to fabulous. I am always amazed with Judi's quilting vision. 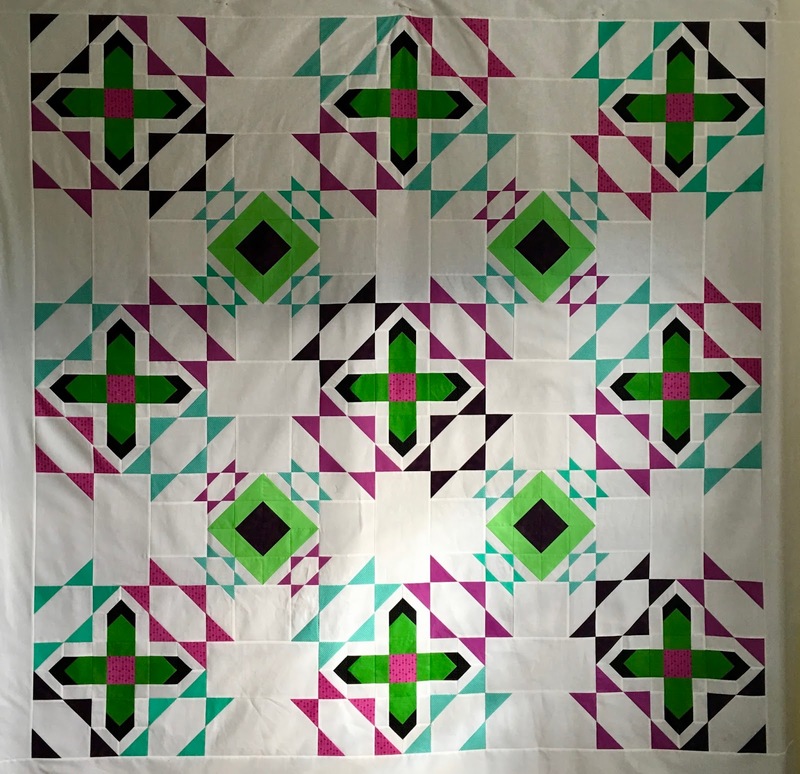 Her designs add so much to a pieced quilt top. I have followed you both for years. 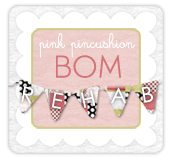 Your piecing is so precise, and she is so stinkin' creative! I would love a peek inside her thought process. I enjoyed her first book...looking forward to seeing her second book. Your Playtime quilt turned out fantastic with Judy's magic! Beautiful quilts! The piecing and quilting are both top notch. Wonderful quilts. Your piecing is so precise. Thanks for highlighting Judie's book. Judy's quilting makes your precision piecing really shine. Always like to see what you are working on! I love how Judi turns an ordinary quilt into extraordinary. I aspire to be half as good as her one day. While Judi's quilting is fabulous, I am most impressed by your piecing, Thelma. Your piecing is so precise that all your blocks are sharp and just as they were intended to be. I would purchase a book by you that goes into detail with all your piecing, pressing tips and hints and could only wish to be as accurate of a piecer as you. I also am a piecer and not a quilter, thank heaven for those who enjoy the quilting part of the process so that I can enjoy piecing. Georgeous patterns piecing and quilting! You all make a perfect team! Wow. It is amazing how Judi's quilting just brought the piece to life. I have always admired her work and have her first book. Like any skill, it takes practice and determination. Judy does break it down to baby steps in her books. Your precise quilting shines too. I actually finished a quilt from Quilting Wide Open Spaces, now I'd love to complete a quilt in Judi's second book! Thanks for the opportunity to win this book, it looks great! It's amazing how the quilting brings the quilt to life! That books sounds like eye-candy. Would love to see it! Beautiful quilt made exquisite with Judi's quilting.